Phase 2 Dulles Corridor Metrorail Project crews are continuing road widening, lane shifting, utility work, excavation and other construction activities for the Metrorail Silver Line, Phase 2. 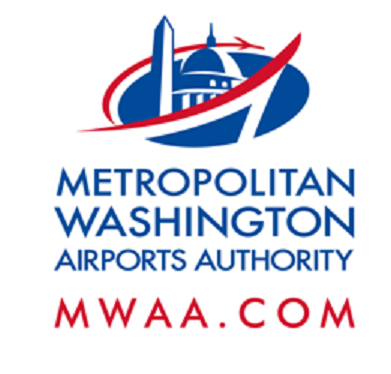 Lane, shoulder, road and ramp closures will occur along the Dulles Toll Road (DTR), Dulles International Airport Access Highway (DIAAH), Dulles Greenway and surrounding roads during the week of Feb. 5 - Feb. 11. Traffic on eastbound Aviation Drive destined for the eastbound DIAAH and the westbound Dulles Greenway will be detoured to Saarinen Circle and then to the eastbound DIAAH to exit the airport. Traffic to Windsock Drive will be detoured to westbound Aviation Drive, then southbound Cargo Drive and eastbound Commercial Drive. Shuttle bus traffic will be detoured to Rudder Road, then Autopilot Drive and Aviation Drive to return to the parking garages and the main terminal. Truck deliveries to Gate 141 will use Gate 118. When: Monday, Feb. 6 - Friday, Feb. 10, 10 a.m. to 3:30 p.m. and 9 p.m. to 5 a.m.
Saturday, Feb. 11, 10 a.m. to 3:30 p.m. and 8 p.m. to 5 a.m. When: Monday, Feb. 6 - Friday, Feb. 10, 9:30 a.m. to 3 p.m. and 8 p.m. to 5 a.m. When: Monday, Feb. 6 - Saturday, Feb. 11, 10 p.m. to 5 a.m. When: Monday, Feb. 6 - Friday, Feb. 10, 8:30 a.m. to 3 p.m. and 6 p.m. to 5 a.m.
Saturday, Feb. 11, 5 a.m. to 2 p.m. and 6 p.m. to 5 a.m. When: Monday, Feb. 6 - Friday, Feb. 10, 7:30 a.m. to 2 p.m. and 7 p.m. to 5 a.m.
Saturday, Feb. 11, 5 a.m. to 2 p.m. and 8 p.m. to 5 a.m. When: Wednesday, Feb. 8, 4 a.m. to 2 p.m. When: Friday, Feb. 10, 10 p.m. to 6 a.m. When: Monday, Feb. 6 - Saturday, Feb. 11, 9 a.m. to 2 p.m. When: Monday, Feb. 6 - Saturday, Feb. 11, 10 a.m. to 6 pm. When: Monday, Feb. 6 - Saturday, Feb. 11, 8 p.m. to 5 a.m. When: Monday, Feb. 6 - Friday, Feb. 10, 6 a.m. to 3 p.m. and 8 p.m. to 6 a.m. When: Wednesday, Feb. 8 - Friday, Feb. 10, 6 a.m. to 3 p.m. When: Monday, Feb. 6 - Thursday, Feb. 9, 9:30 a.m. to 3 p.m.